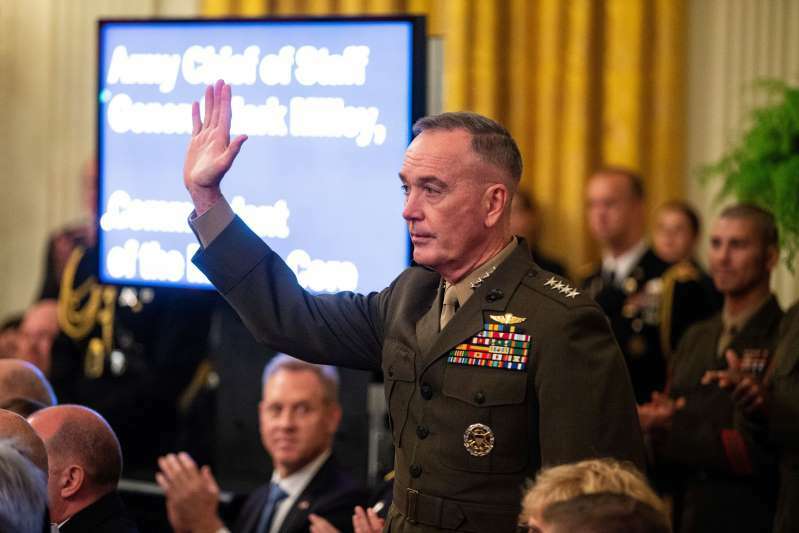 "The more successful we are in the diplomatic track, the more uncomfortable we will be in the military space," Marine General Joseph Dunford, chairman of the Joint Chiefs of Staff, told a forum at Duke University. "Because over time, this negotiation will take a form where we're going to have to start making some changes to the military posture on the peninsula. And we're prepared to do that in support of Secretary Pompeo," Dunford said. He did not elaborate on what changes might be expected. Secretary of State Mike Pompeo will meet with senior North Korean official Kim Yong Chol in New York on Thursday to discuss North Korea's denuclearization. In Washington last week, South Korea's defense minister said the two countries would decide by December on major joint military exercises for 2019. Vigilant Ace, suspended this month, is one of several such exercises halted to encourage dialogue with Pyongyang, which has criticized joint U.S.-South Korea exercises in the past.